I was kind of here way back when making playthrough commentary topics with awful translations, vague strategy, and tons of really schlocky unfinished fanfiction (aka I was "Lowe Guele" once upon a time. I noticed those old topics have just disappeared entirely now. It makes me sad ). 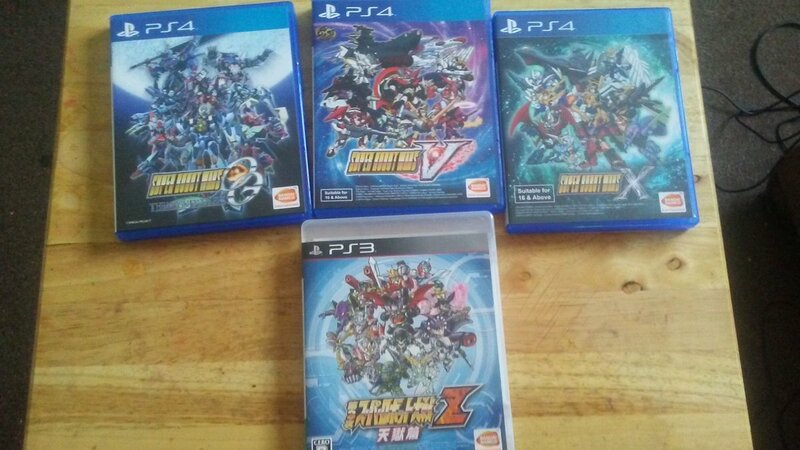 Anyway, I wandered into a gaming convention about 2 weeks ago, and walked out with a ton of SRW games. I stopped playing them about 4 years ago to focus on broadening my gaming horizons, but seeing all these games in one booth brought me all the way back. And I thought of SRWG. How have things been? Judging by what is essentially becoming the rest of my summer gaming backlog on one TV tray, I'm flying pretty high right now. I remember you. The threads disappeared because this is a different forum now. We switched a while back. Welcome back! Lowe! Nice to see ya again! Welcome back. Get yourself on psnprofiles and make yourself a gamecard when you get a chance.